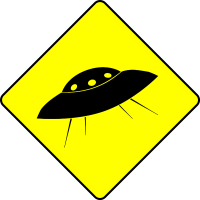 The New York Times recently ran an interesting article by Adam Frank titled “Is Climate Disaster Inevitable?” This piece posed an intriguing answer to this puzzling question: Where are all the extraterrestrials? The Drake equation gives us an order of magnitude feel for how many advanced civilizations there could be in the universe by looking at parameters such as the percentage of stars that have planets, the percentage of those planets which have the right conditions to support life, etc. There are a lot of unknowns in these parameters, but the upshot is that even if one assumes conservative conditions, there should be millions of advanced civilizations out there right now. Enrico Fermi famously phrased the question: “So where are they?” thus spawning the eponymous Fermi paradox. With so many potential civilizations, why is the cosmos not saturated with radio signals, with extraterrestrial equivalents of "Keeping Up With the Kardashians" streaming into space from a thousand different tacky cultures? Despite the implications of the Drake equation, we have never encountered even the slightest hint of extraterrestrial life, not the faintest wisp of a stray radio signal from a distant civilization. SETI is listening diligently, but so far the universe is sepulchrally quiet. One answer to Fermi’s paradox is dark. Uranium is ubiquitous. 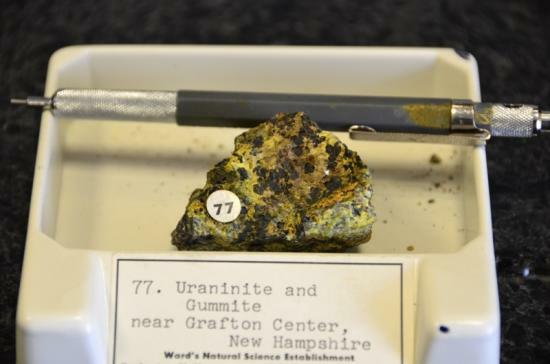 There’s so much uranium in the Earth that it’s played an important role in keeping our mantle hot, and hence keeping plate tectonics functioning. (We’re the only planet we know of with both life and plate tectonics. The recycling of the crust and its essential elements through tectonics suggests this isn’t a coincidence.) Because uranium is everywhere in the universe, any advanced civilization would inevitably discover the basics of fission and learn how to create an atomic bomb. So perhaps the solution to Fermi’s paradox is that advanced civilizations inevitably annihilate themselves with nuclear war, as we came so close to doing (and still have the potential to achieve). We don’t see UFOs buzzing around because given enough time each nascent civilization enters a nuclear age—and they don’t make it out. That seems unlikely. Sure, it’s reasonable to assume that warfare and conflict are not unique to humans, but would that be universally true for all possible civilizations? Millions of them? Surely one would develop along the lines of The Big Lebowski, a civilization populated with alien versions of The Dude, aspiring not to warfare but only to abide on a comfortable couch, pontificating about how well the rug tied the room together, while sending radio waves into space proclaiming this slacker anthem. From climate change to resource depletion, our evolution into a globe-spanning industrial culture is forcing us through the narrow bottleneck of a sustainability crisis. In the wake of this realization, new and sobering answers to Fermi’s question now seem possible. Maybe we’re not the only ones to hit a sustainability bottleneck. Maybe not everyone — maybe no one — makes it to the other side. It’s notable that Earth’s atmosphere has already undergone a major shift due to the activities of organisms. Over three billion years of photosynthesizing bacteria transformed the atmosphere from oxygen depleted to our current twenty-one percent. 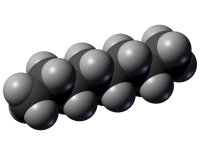 The oxygen you breathe now is the waste product of biology that stripped carbon from oxygen to form carbohydrates, some of which were later altered into the hydrocarbons now spewing out the tailpipes of stretch Humvees. On a vast scale our species pushes this in the other direction, taking carbon and recombining it with oxygen. So far we’ve been fortunate that our carbon dioxide waste is absorbed in the oceans and used by many other things—plants, diatoms, mineral weathering—meaning anthropogenic increases have not been as steep as they could have been. But those natural reservoirs are not infinite, and the rate of carbon dioxide increase is dramatically accelerating. From 1965 to 1974, the rate of carbon dioxide increase averaged 1.06 ppm per year; from 2005 to 2014, the rate doubled to 2.11 ppm per year. As we continue this planetary-scale geoengineering experiment of pumping carbon dioxide into the atmosphere and seeing what happens, it’s worth considering that maybe this path has already been taken by predecessors a long time ago, in galaxies far, far away. Why don’t we hear them now? Maybe Adam Frank’s proposal is right, and our current climate crisis is so intractable that other civilizations have tried and failed and collapsed. But we humans did get through the most dangerous phase of the nuclear era, which for so long seemed guaranteed to end us all. At the very least we have the potential to get through our climate conundrum, which, like the nuclear danger, is a failing of our political systems, not our scientific knowledge. Just as Neo in The Matrix had five predecessors who failed, the universe might need a few tries before finally solving the difficult problem of maintaining a civilization without destroying its planet.